Overlanding Off-Road is a family-owned business in Ogden, Utah. Being from Utah we love the outdoors, we love to explore, and we love camping. We decided to take this love and create Overlanding Off-Road where we could help others do the same. 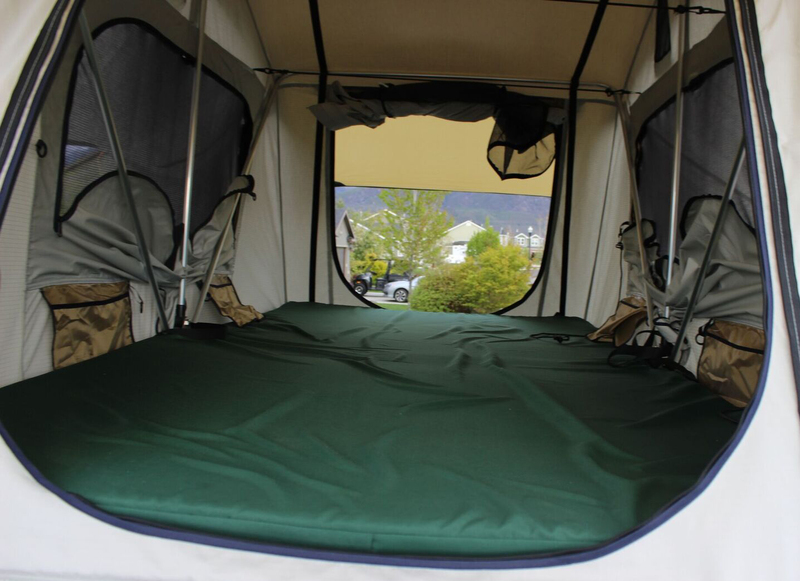 Our rooftop tents are the best on the market - tough, resilient, and dependable. They setup easily and allow you more room than a traditional tent. Being off the ground is like sleeping in a tree house! Combined with quality accessories we can turn your 4x4 into a true overlanding beast! Overlanding is about exploration, rather than conquering obstacles. While the roads and trails we travel might be rough or technically challenging, they are the means to an end, not the goal itself. The goal is to see and learn about our world, whether on a weekend trip 100 miles from home or a 10,000-mile expedition across another continent. The vehicle and equipment can be simple or extravagant - they, too, are simply means to an end. History, wildlife, culture, scenery, self-sufficiency - these are the rewards of overlanding. That is why we started Overlanding Off-Road, to allow us to conquer the outdoors and explore - and to share this experience with others. We don't just sell our products, we use them! Contact us today for help in choosing the right equiment for you!